For the past two weeks the legislative session has been in full swing with several major newsworthy events taking place. The biggest event was the report of Dr. William C. Hsiao and the Health Care System Design Study Commission. 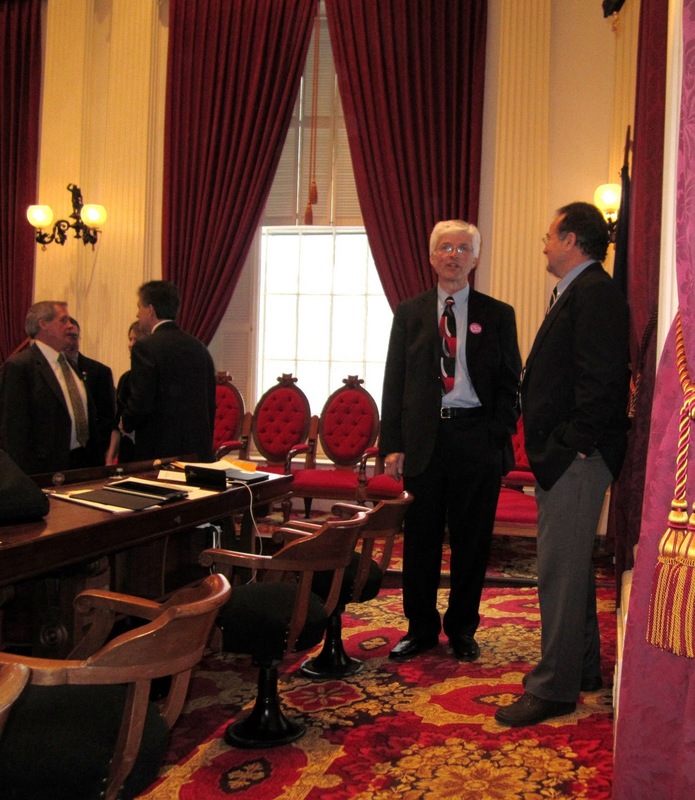 Dr. Hsiao presented a summary of the report before the legislature and the commission’s recommendation that a system of a public-private single-payer system would be most effective in lowering costs while providing access to basic health care to all Vermonters. His presentation as well as the draft of the full report can be found at the Joint Fiscal Office website, http://www.leg.state.vt.us/jfo/healthcaresystemdesign.aspx. Health care is complex, expensive, and affects everyone. Much work will have to be done by Health committees in both the House and Senate to rigorously examine the full report and take testimony before any legislation is formulated. Any implementation of the proposals will have to achieve these goals: 1) control health care spending which has been increasing about a million dollars per day, 2) provide coverage for the 32,000 Vermonters who have none today, and 3) reduce the cost to employers of providing coverage for their employees. The report indicates that these goals can be accomplished and provide a model for reform on a national level. I encourage you to read the report, or at least the presentation, and let me know what you think about it. The Joint Fiscal Office, a non-partisan research arm of the legislature, also presented to members of the legislature an overview of the report of the Blue Ribbon Tax Structure Commission. This report can be found at http://www.vermonttaxreform.org/wp-content/uploads/2011/01/WEB-REPORT-2.pdf. Taxes have been a persistent issue in Vermonters’ minds, and Charlotte is no exception. We often find Vermont compared unfavorably to our neighbor, New Hampshire, which has no income or sales tax. As a tax preparer I hear the same comments from many of my clients. The commission considered all the types of taxes assessed by Vermont, including the income tax, the sales tax, excise taxes, fees, and property taxes, and compared them to the other New England states and New York. The commission found that the vast majority of Vermonters pay taxes, and that Vermont’s taxes are distributed rather evenly across income classes when considering all types of taxes together. Taken as a percentage of household income, sales taxes are regressive with lowest 20% of incomes paying 5.5% of total income and the highest 1% paying about 0.5%. The income tax, on the other hand, is progressive, ranging from -1% (a tax benefit) for the lowest 20% to 5.5% for the top 1%. The property tax is slightly regressive, ranging from 3.8% for the lowest 20% to 2.2% for the highest 1%, with a bump showing the top 60-95% at about 4.2%. The distribution of the total tax contribution at all income levels averages 9% +/- 1%. New Hampshire, on the other hand, places the highest burden of total taxation on the lowest 20% at about 8.5% of income and the lowest burden on the top 1% at about 1.7%, relying primarily on property taxes. The commission made several recommendations including changing from taxable income to federal adjusted gross income as the starting point for the Vermont income tax. Assuming no increase in income tax revenues, this would allow tax rates to be lowered and permit an apples-to-apples comparison with other states’ tax rates. In the Natural Resources and Energy Committee we are reviewing the elements of H.56, the Energy Bill of 2011. This work will continue as we take testimony from various stakeholders.